Convention registration is now open! Elder Law Guardianship Seminar (2952R), 8:00 a.m. – 12:00 p.m.
Elder Law Section Executive Council Meeting, 2:30 p.m. – 4:00 p.m. If you’ll be attending the Florida Bar Annual Convention, attend this seminar in person! On June 15, 2018 during the Executive Council Meeting and Awards Ceremony, William “Bill” Johnson, Ellen Morris, and Babette Bach were the recipients of three prestigious awards of the Elder Law Section. 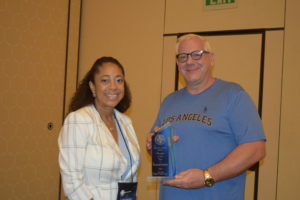 2017-2018 Chair Collett P. Small presented the 2017-2018 Member of the Year Award to Bill and the 2017-2018 Charlotte Brayer Public Service Award to Ellen for their service and dedication in elder law. 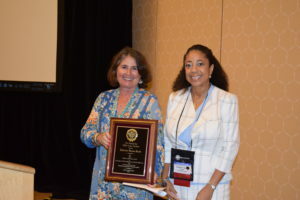 She then presented the 2017-2018 Elder Law Section Lifetime Achievement Award to Babette Bach for her illustrious career in elder law and fierce passion for advocacy. Bill Johnson receives the Elder Law Section Member of the Year Award. Ellen Morris receives the Charlotte Brayer Public Service Award. 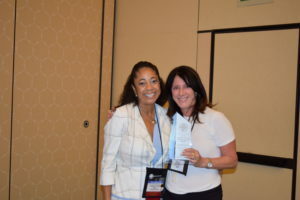 Babette Bach receives the Elder Law Section Lifetime Achievement Award. 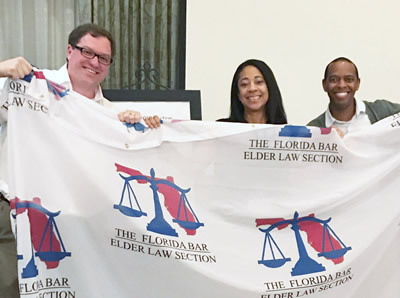 Membership to The Florida Bar Elder Law Section is open to any licensed attorney interested in the legal issues of the elderly in Florida. 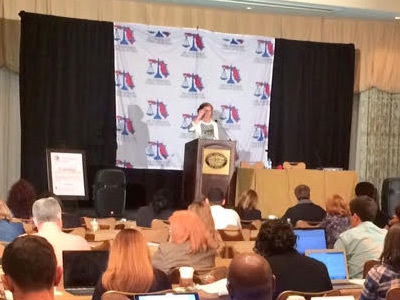 PROFESSIONAL GUARDIANS AND FULL-TIME FLORIDA LAW STUDENTS CAN NOW JOIN AS AFFILIATES!